A couple whose £700,000 newly-built home is still unfinished seven months after they moved in have become a surprise internet hit after setting up a website cataloguing their domestic woes. The couple, who have four daughters, claim they have been left living in a dusty construction site, frequently without power or appliances. Entrepreneurs Rennie and Sheralee Bottali’s long-running wrangles with housebuilder Bovis Homes over the luxury three-storey property have attracted almost 100,000 hits since they set up the site March. 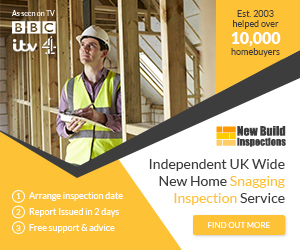 The couple say they resorted to creating the page – www.whybovishomes.co.uk – (archive) after what they allege is a catalogue of botched jobs, poor workmanship and unfinished building work. They claim that their top-of-the range kitchen has had to be refitted three times, every door has had to be replaced twice and there was even a month-long gas leak.